Find out more about who we are and what we can do for you. Whether you’re looking for a celebrity speaker to fire up your annual conference or a five-star boutique break to incentivise your staff, we can create a truly bespoke experience for you. The event exchange team continues to blend friendliness and professionalism in a unique and very successful manner." 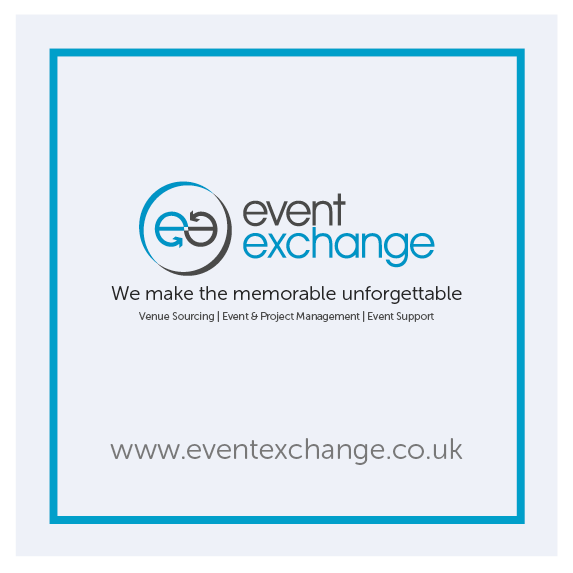 Event Exchange are quick to understand our requirements and with their vast amount of experience are always able to recommend the best, whether it is looking for an unusual venue, sourcing entertainment, theming, catering, sports activity etc., they have always come up with the goods in a timely, cost effective and professional manner. They make working with them so easy it is always a pleasure. Since 1997 we’ve designed one-of-a-kind events for businesses of all sectors and sizes, ranging from one-to-one interviews to overnight conferences, executive board meetings to no-holds-barred trips in exotic climes. We are a hard-working, loyal and dynamic team dedicated to providing a truly personal service. We take time to get to know your likes and dislikes so we can be sure to deliver meetings and events that’s tailor-made for you. The benefits of using event exchange, we Save You Time, whilst we work hard behind the scenes, you can get on with your day. Thus saving time and money. The team will negotiate ensuring you get best value for money and more importantly Added Value. We work with your procurement requirements and effectively deliver your event on budget. We never take the control away from you; we are effectively an extension to your team. It’s this kind of philosophy that’s helped us win awards and keep our clients year after year. Some clients have been loyal for over 18 years. We are a proud member of the HBAA, the events and hospitality association that drives, promotes and models good business between its members. We are also endorsed by the Travel Industry Designator Service (TIDS), which allows all our bookings to be recognised by all industry suppliers worldwide. Our membership of these organisations demonstrates our commitment to operate within recognised industry standards, gives us access to the latest industry intelligence, research, toolkits and guides, and allows us to form alliances with other professional development bodies. For us, communication is key. From the first meeting right through to the debrief, we make sure that we’re always talking, getting to know you better and learning what’s most important to you. We’re pretty good at listening too and bouncing ideas off each other is what makes us tick. By sharing suggestions and ideas at every stage we can design a more successful event for you. We call it client fusion and it’s one of the secrets of our success. We are committed to providing planet-friendly event solutions for our clients. From sourcing green suppliers to helping you offset the carbon generated by your event, we can design an event that is sensitive to the local and global environment.